Our last stop in Peru was perhaps the most magical and awe-inspiring of our two weeks in the country. We first visited the city of Cuzco, which is an obvious contradiction between Incan civilization and Spanish colonialism. 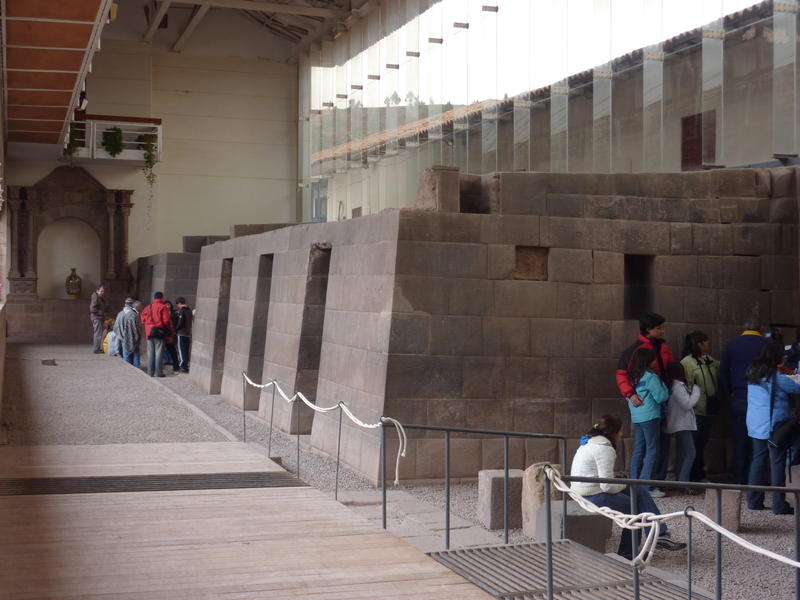 In fact, we saw the walls of an Incan temple inside a Spanish Catholic church – the Spanish conquered the area and ruled it as a Catholic colony. There is a noticeable difference between the engineering of the two groups. 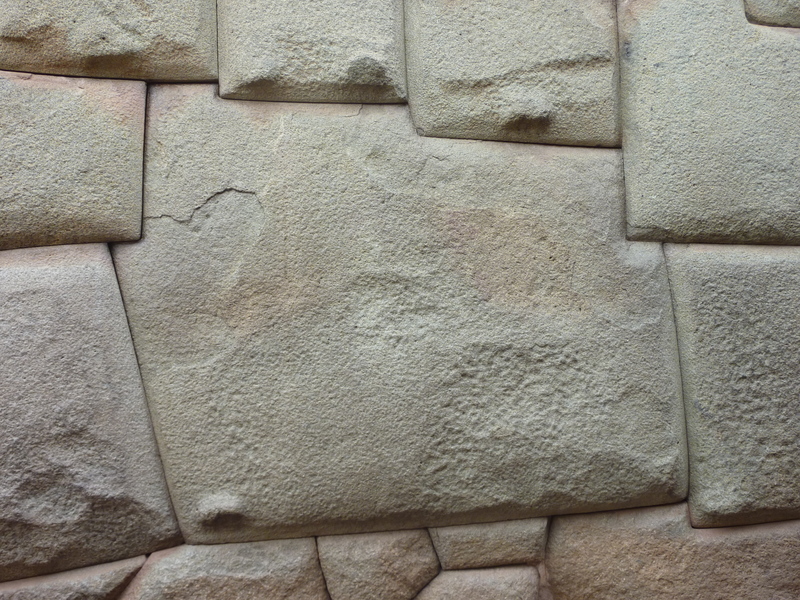 The Incas used water and other tools to cut stones so that they fit together perfectly, without the need for any mortar or fillers. The Spanish walls have rounded stones, which are pieced together using mortar. The elevation of Cuzco is extremely high, and as in the Colca Canyon region, we experienced altitude sickness. As a remedy, Peruvians recommend taking Soroche pills or chewing/drinking coca leaves or tea. Read more about altitude sickness here. After resting for our first day in Cuzco, we prepared to visit Machu Picchu. We spent the night in Ollantaytambo to shorten our trip in the morning. We boarded the train very early, between 5 and 6 a.m., and arrived at Machu Picchu at about 8 a.m. The views from the top were incredible! It was breathtaking to see the city of the Incas, one that the Spanish did not discover and conquer. We spent the day exploring the various buildings and sites. Although it was cloudy and a bit rainy in the morning, it became hotter and sunny in the afternoon. Sunscreen is a must, as I got burned even while using it. We hiked along the various paths, sat in different locations to take in the stunning views, and imagined what it must have been like as a city filled with people. Please visit the National Geographic page on Machu Picchu to learn more and see my gallery below because my words cannot possibly do justice to this spiritual, amazingly beautiful place.